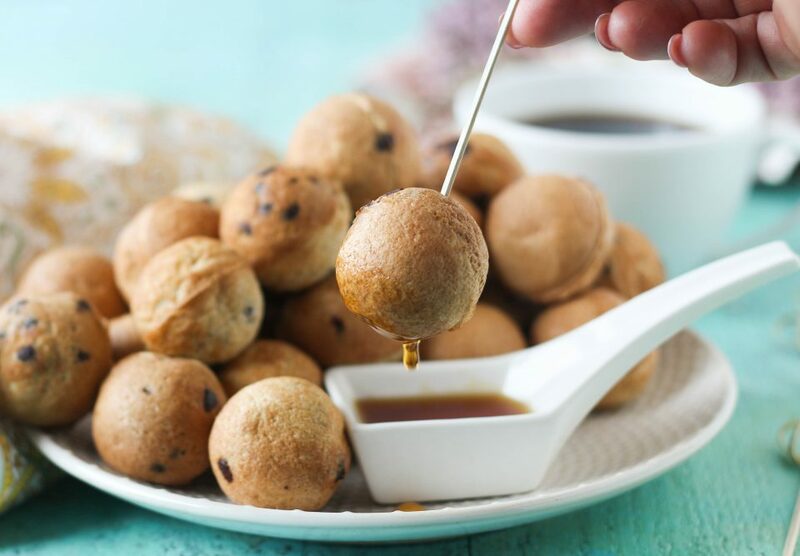 Something that I absolutely love about these pancake bites is that there is no baking involved. And based on my baking skills yesterday…well, I have none. I always have high hopes for baking and I’m constantly disappointed. Which is why pouring batter into a machine is way sexier to me. No worry, no upset, no eating the burnt scraps. 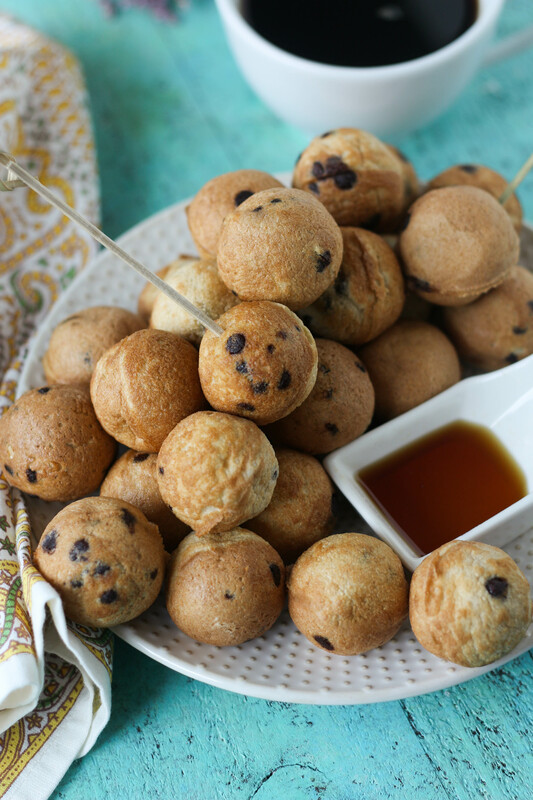 Just simple, fluffy pancake bites to snack on. Just simple, pure joy. You know else is pure joy? Sleeping through the night since we got new pillows. Why is it so incredibly hard to find the perfect pillow. Even now, when I’m sleeping through the night, I sometimes wake up in the morning wondering if it’s enough support for the neck. I had pillows that drove me crazy before because they were like sleeping on a yoga block, and now I have the fluffiest pillow ever that it just sinks completely. Why is shopping for pillows the most impossible task ever?! I would say that I’m so excited that this week is coming to a close…but I just remembered it’s only Tuesday. But this week I have my eye on the prize – a trip to Walla Walla, Washington. This will be my first time to Walla Walla and I’m pretty pumped. After going to Santa Ynez Valley (this amazing little wine country while not even being that into wine) I’m excited to experience another place with a similar feel. I hope the people are just as nice as SYV because I seriously cannot wait to go back there. I have some things on my agenda and a few restaurants on my itinerary, but I’ve never been so if you have any recommendations for gluten free restaurants, bakeries, coffee shops or just cool places to see, let me know!! I’ve found that recommendations from others can be a life saver when I’m on these short trips! Have you listened to my podcast lately? For most of the 51 episodes I’ve recorded, I’ve talked to myself for a solid hour. But I’m trying to mix it up moving forward. At first, I had absolutely no idea who I would want to interview on the podcast, so I finally turned to my instagram to see the people I enjoy following the most and started asking them! For far, I have 4 interviews this week and 2 the next. And I’m hoping I can keep adding to that. I like talking to myself (I am an only child) but hearing other people’s stories is the whole reason I started listening to podcasts in the first place. Have you listened to How I Build This with Guy Raz yet? Obsessed. So if you have any person you would like to hear on the podcast and learn a little more about their story, let me know! Walla Walla and human recommendations are a must today. Now go eat pancakes in the shape of balls! Heat up cake pop maker. Whisk together wet ingredients: eggs, almond milk, maple and vanilla extract in a large bowl. Then add coconut flour, tapioca flour, baking powder and baking soda and a pinch of salt to the large bowl. Whisk until batter is well combined. Lastly, add chocolate chips and mix completely. 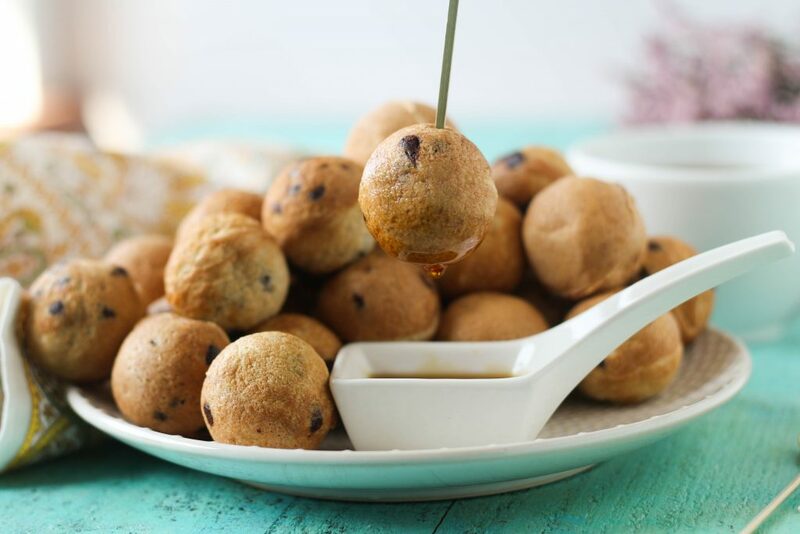 Grease cake pop maker with coconut oil spray. Then use a cookie scoop or tablespoon to fill each cake pop round (be careful not to overfill). Follow instructions for cake pop maker to cook until each pancake bite is cooked through. Repeat until no batter remains - it should make 30-32 pancake bites! 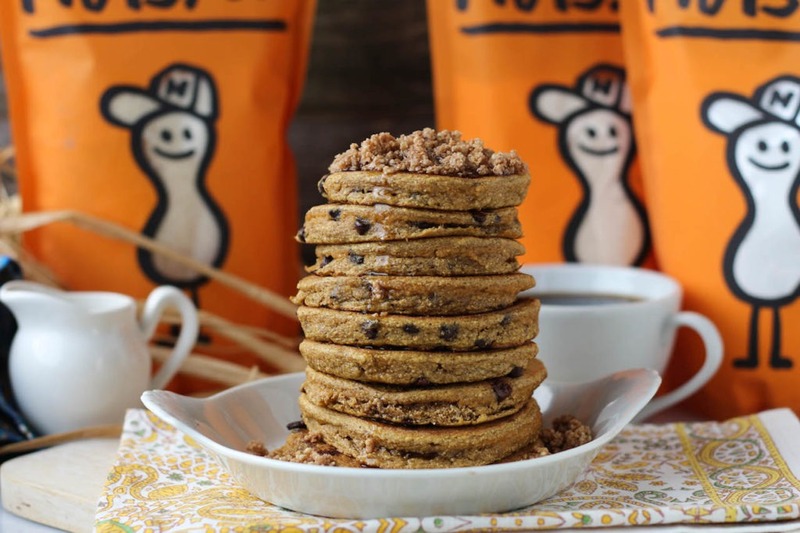 Serve with toothpicks and maple syrup on the side! What if you do not have a cake pop maker? Could you give us instruction if we just have a cake pop pan? 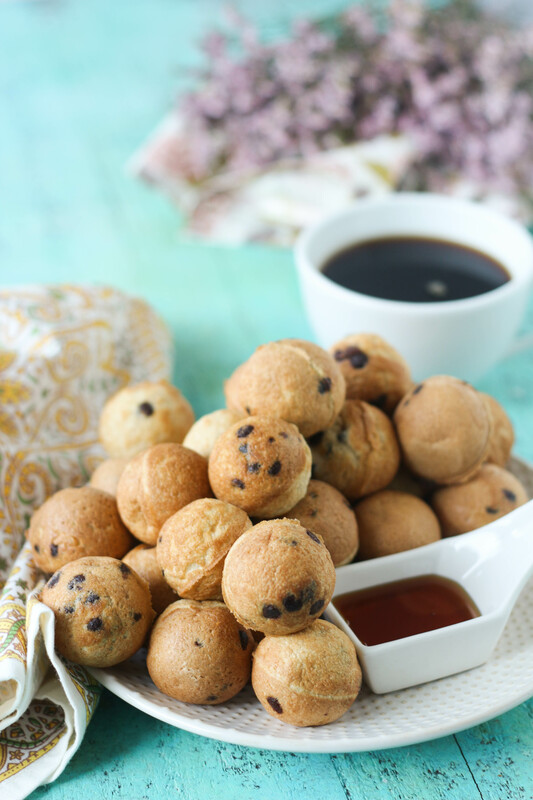 i haven’t baked them in a cake pop pan or i would have definitely given a substitution! You could bake these in either a cake pop pan or a donut pan. Just heat your oven to 350° and really grease the pan with spectrum shortening. Fill each area 2/3 full and pop them in the oven. Start peeking around 7 minutes. It may take as many as 15. 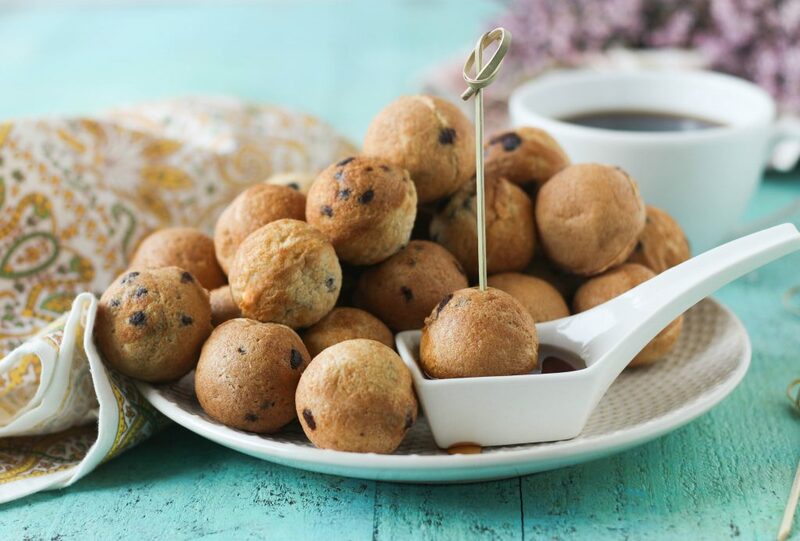 If the donuts or donut holes are getting browned up too quickly, reduce heat to 325° . Let them cool in the pan 7 to 10 minutes and then flip them out onto a cooling rack. They freeze beautifully if they are individually wrapped. Reheat frozen donut in a toaster oven or regular oven at 250° for about 10 minutes. Enjoy! Thank you for Giving a substitute for the cake pop maker, Tiffany!! 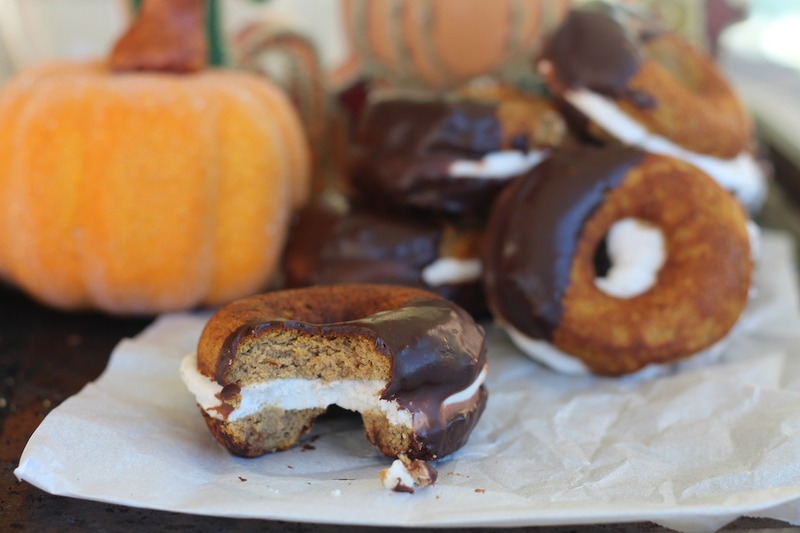 I have a donut pan so I will be making these this morning. ???? Walls walla!!! Such a tiny cute town, I live about an hour away. Olive is my favorite little place. Such great food! Will you be doing any book signings, or is it just a visit? These look amazing! Do you think that arrowroot can be substituted for tapioca flour? And would it be weird to use all egg whites? Thanks for so many recipes!! I would highly recommend Dunham cellars and Kontos. Both have excellent wine and cool atmosphere! For the podcast, I Love hearing from entrepreneurs, maybe some of the business owners from places you’ve blogged about like Just Be Kitchen or Barre Forte. FitLo Denver is another interesting business I follow. Maybe some fitspo people like Tara LaFarerra or Emily Schromm, or some of the bloggers you meet at events. Your podcast with all the girls at Siete was one of my favorites. Where can I get the syrup cup/spoon? thanks for the love, brooke! lol well hopefully i can be more of a reason to listen longterm! I love your podcasts! I look forward to them every week, and my chores go by so much easier as I listen to you. I loved when you had the 3 other girls on with you! It felt like I was listening to my girlfriends chat, and was very entertaining. thanks for the love, jackie! Does your cake pop machine double up a a donut machine or are they separate? yes, doubles as a donut hole maker! Ugh, I am always in search of the perfect pillow. Do tell where you found yours! i just got mine at target, but i don’t remember the brand! Just took these out of the oven! I don’t have a cake pop pan so I made them as muffins. I scooped 1/4 cup batter into the silicone muffin liner, baked at 350 for 20 minutes, they turned out perfect! Thank you for the recipe! ???????? thanks for letting us know how you made them!!! What pillow did you get? I need a new one! These look amazing! Can’t wait to try these. My girls will love them! Thanks so much for sharing your amazing recipes. I am a big fan of all of your social media! Love ya girl. So authentic! thanks for the love, brandy! 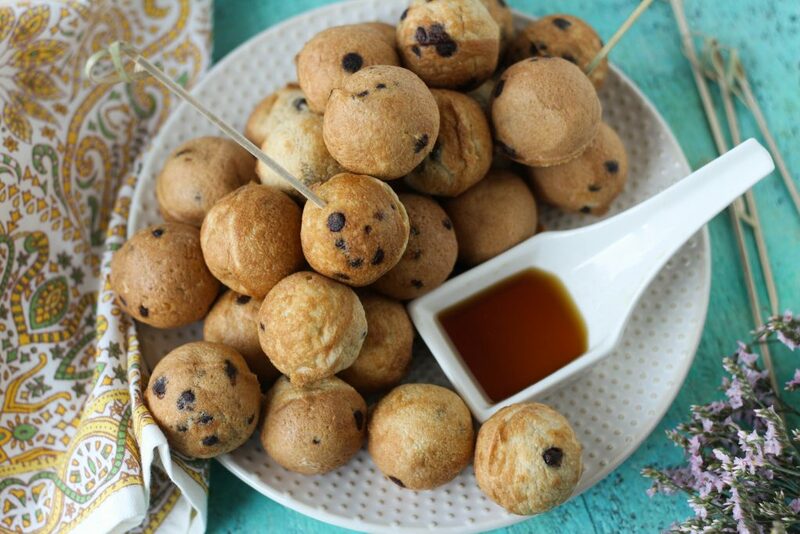 Can’t wait to make these adorable pancake bites! Also, so excited that you will be posting more Instant Pot recipes. I LOVE my new IP and am always looking for great paleo recipes. Just wanted you to know, that you are the sole reason that Paleo was made easy for me. I became Paleo a year ago at the recommendation of a wellness plan. Their recipes were exhausting and I was ready to give up. I found you, and then some of your fellow friend bloggers, and the rest is history. So Thank You for all you’ve done for my husband and me. so excited to pull my IP out again! i missed that thing! and that is SO COOL!! so glad i could be part of your journey and make it a little less daunting! PSA; I am obsessed with my Casper pillows. I even bought my dog their fancy dog bed ( which he refused to sleep on, go figure) but I am SO in love with my pillows! i’ve heard so much about casper mattresses on podcasts, i’ll have to check out their pillows! thanks for the recommendation! As someone who has listened to every single episode I think you should have Jaso Seib on your podcast – he recently wrote a book called body beliefs about helping women with body image issues and is trying to share that message with other women so I think he’d be a great guest since you have talked about that kind of stuff on your podcast. sweet, i’ll look into him! thank you for the recommendation! You just made me buy a cake pop maker ????. These look amazing! lol you go girl! make those balls! Can another non dairy milk be used instead of almond milk? I made these into waffles, husband approved! Sooo yummy! Baked them as mini muffins for about 12 minutes. Both of my kids went crazy for them! Thank you! Delicious!! Both of my kids loved these.